What Should You Wear to a Yoga Nidra Class? Yoga Nidra is a growing trend for a restless society. Yogis who are always anxious to move onto the next thing in front of them can lose out on the holistic peace that yoga has to offer. Many individuals already know that rest is a fundamental element of an active yoga practice. However, yogis often breeze through the resting poses at the end of a sequence in order to move on to more important things in their daily life. This more relaxed form of yoga focuses solely on the relaxation and rest that is supposed to accompany a well-balanced practice. Yoga Nidra helps to calm the mind while relaxing the body for a conscious rest experience that brings peace into your daily life. Because this type of class setting and yoga practice is unique from a heat-building sequence designed for fitness, many yogis aren’t sure how to dress for this class. 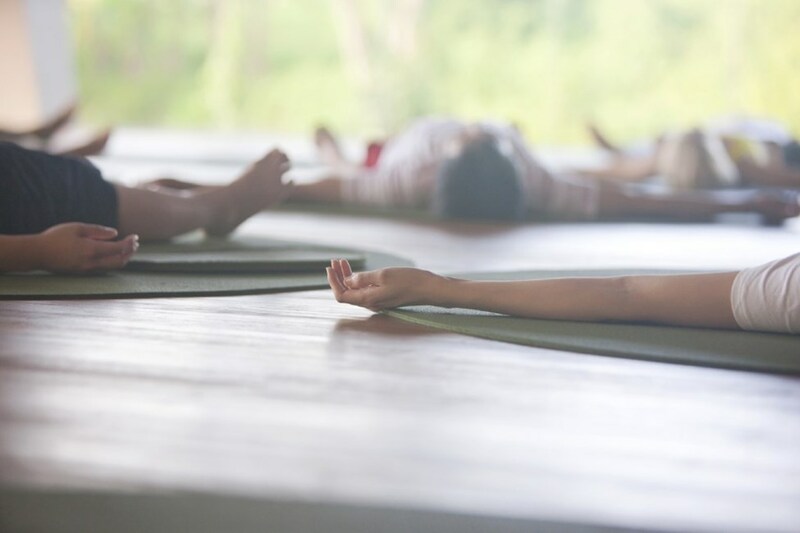 What can you do to make sure that you’re prepared for your first yoga Nidra class? Which one of your yoga outfits is the most comfortable? Because yoga Nidra is focused more on rest and gentle postures, yogis won’t necessarily need to wear the most supportive clothing or the coolest outfits. You won’t build much heat so you should consider what yoga pieces you own that are the most comfortable. Perhaps you prefer a long, flowing tank top with compression pants. Other yogis may favor a bulky sweatshirt with yoga pants or a crop top with high-waist Capri leggings. There really is no right or wrong solution when you get dressed for this type of yoga class. The only key is that you must be comfortable enough to relax. If you’re used to heat-building sequences found in more rigorous forms of yoga, you may find yourself freezing in a yoga Nidra class. This isn’t the time to bust out the workout clothing that you plan to break a sweat in. You won’t need any breathability or mesh inserts in your yoga Nidra outfit. Wear several light layers so that you can take them off and on as you move through the sequences. This also allows you to be prepared for any variation in temperature in an unfamiliar yoga studio. If you aren’t sure whether you’ll be hot or cold, light layers allow you to comfortably adjust to both possibilities. The goal isn’t for you to take a nap on your yoga mat, but it may not be a bad idea to bring a blanket. Laying in savasana for an extended period of time can lower your body temperature an uncomfortable amount. Instead of focusing on relaxing, you may find yourself focused on keeping your shivering to a minimum. With a blanket, you can ensure that your mind will stay focused on the breath and the relaxation that you’re desperately seeking. 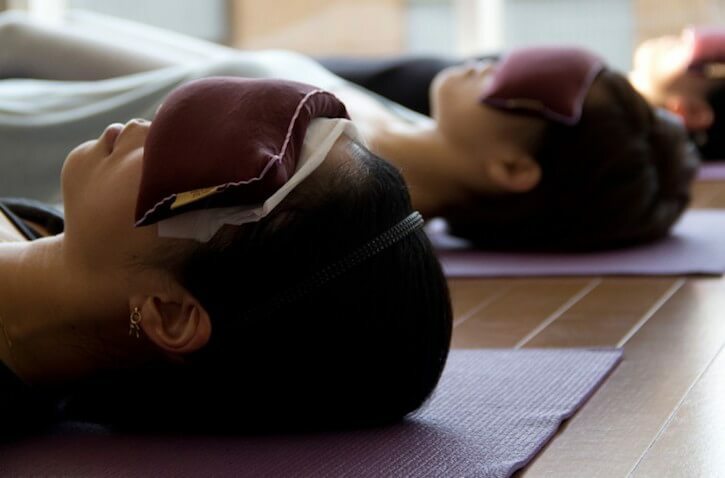 Yoga Nidra can be a beneficial addition to most yoga practices, allowing yogis to stop and focus on rest as an act of self-love and compassion. With these essential tips on coming prepared, you’ll be better able to focus on your upcoming yoga class.